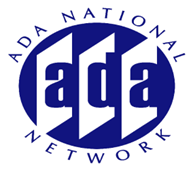 ake this opportunity to pose questions to DOJ regarding their enforcement efforts on Title II and Title III of the ADA as well as seek their guidance on tough ADA policy issues. DOJ has joined us on many occasions to field questions from our audience. This is an opportunity for you to get clarification and/or seek guidance from DOJ on issues associated with compliance and/or your rights under the ADA.